Writer and artist Emma Bell Miles was 10 years old when she arrived at Albion View, casually referred to as "The Top" by natives and summer visitors. Albion View, casually referred to as "The Top" by natives and summer visitors alike, was a post office, store and dance pavilion clustered at the top of the "W" Road ascending Walden's Ridge, or Signal Mountain, as it is commonly called today. Writer and artist Emma Bell Miles was 10 years old when she arrived there, riding a pony alongside the wagon driven by her parents, B.F. and Martha Ann Mirick Bell. They had set off from Evansville, Ind., in June 1890, and crossed the mountain on the old Anderson Pike before emerging at Albion View, where they first saw the magnificent view. In the summer of 1891, they built a frame Victorian house just up from the "W" near the Oakwood School where Mrs. Bell taught mountain children. Emma and her friends, Rose and Minta Stroop, played on the rocks at Nelson spring and on the natural stone bridge at Rocky Dell. She and Grace Catlow explored the mountain on horseback. 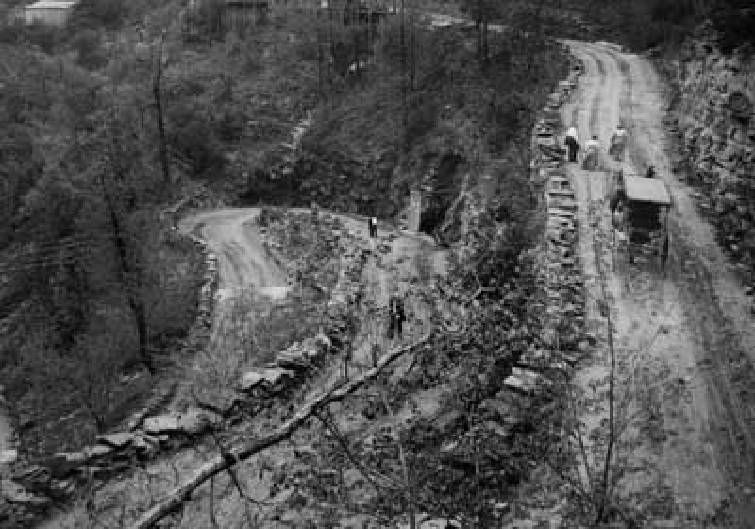 The "W" Road on Signal Mountain is shown in this vintage photo. Emma drew, read, wrote a little and began associating with the mountain people. In 1898, she became acquainted with Frank Miles, a handsome mountain youth who drove the hack to and from Chattanooga on the "W" Road that summer. After the death of her mother in 1901, she and Frank married. They became the parents of twin girls in 1902 and a son in 1905. With the help of authors Alice MacGowan and Grace MacGown Cooke, Emma began publishing her poems in national magazines. In 1905, James Pott & Co. of New York published her landmark book, "The Spirit of the Mountains." She explained that mountain people loved their wild surroundings and warned against the danger of summer employers destroying their self-sufficiency. 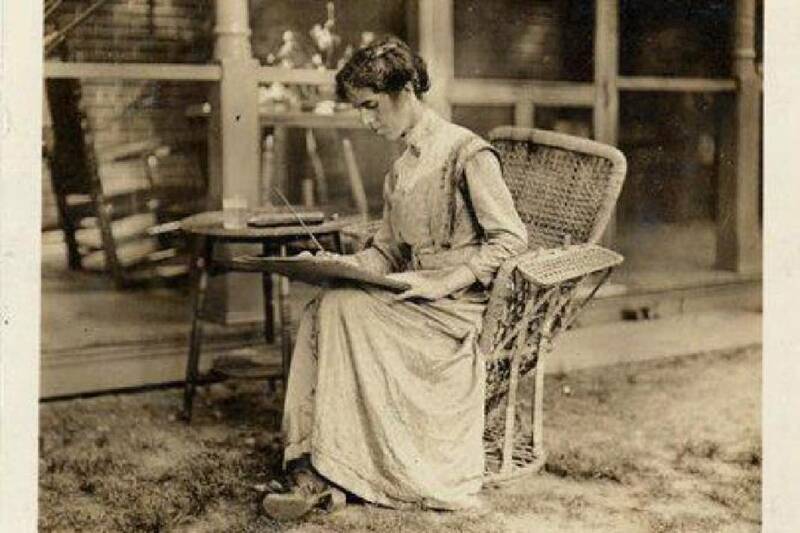 Emma sold sketches and postcards to the summer people, while continuing to write stories and poems for magazines. She and her family, which grew to include a daughter, Kitty, and son, Mark, enjoyed picnicking and exploring the mountaintop along its eastern brow. "The rest of the world fades to a dream," she wrote, "its sounds reach you echo-thin and sweet, its lights are a necklace of jewels on the dusky velvet-bosom of the hills — all fairy like, unreal and dim." In April of 1911, Emma attended Sarah Key Patten's party at "Topside" and painted a study of a pink moccasin flower one of the guests had found at Mabbitt Springs. Several guests asked for copies. She was devastated when her young son, Mark, died in January 1913. In April, she painted "Emma Bell Miles, Sketch Classes" on the drop leaf of her old sewing machine and nailed the sign to a tree along the road to Signal Point. Her plan was to teach art that summer and earn enough to move to town where she could find more work. Emma and Kitty were hunting greens for poke salad when they met up with Judge and Mrs. Nathan Bachman and their little daughter, Martha, whom Emma described as dressed in a cowgirl outfit and halfway up a tree. The Bachmans asked Emma to do a painting of their summer house nestled in the blossoming orchard. She went to work immediately and was well pleased with the painting, as were the Bachmans who paid her $10. Mrs. Bachman and Mrs. Lyle enrolled Martha and two other children in Emma's sketch class. On the way to visit her sister-in-law Laura Hatfield in Summertown, she stopped to see Mrs. Poindexter, who interrupted feeding her ducks and White Orphington chickens to pay Emma $5 for some of her handmade books of poems. Wednesday and Saturday night dances held at the pavilion were an area-wide attraction. Emma and her family attended a dance there in July of 1914. She described a rough lumber pavilion with four oil torches and a floor crowded with dancers. "Big Gus" Freudenberg was dispensing soda pop, ice cream cones and weinerwurst sandwiches. After each set, the men and boys paid 10 cents apiece, with $1.50 of the total collected going to each of three musicians when they quit at midnight. The dances ended after a shootout between rival bootleggers at the dance pavilion on March 19, 1919. But the sense of community that Albion View represented is being revived at McCoy Farm and Gardens, 1715 Anderson Pike. All are welcome at the annual Memorial Day celebration on May 29. There'll be plenty to eat, family activities and good music — but no shoot out!